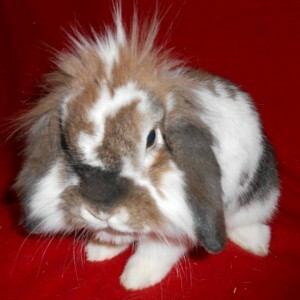 Truffles is a Lionhead/Lop Eared rabbit and was born in 2010. She enjoys visiting at Children’s Hospital in Minneapolis as well as performing Animal Assisted Therapy (AAT) with at risk teens in the Twin Cities metro area. In addition, Truffles also participates as a R.E.A.D. team with children at various schools and libraries. When she’s not visiting, Truffles loves to play with her favorite ball that has a bell inside, and she tosses it around to make it jingle. This special rabbit is a gal of many talents – she has completed three levels of agility training and can jump over hurdles, scurry up ramps, and race through tunnels on command! When she’s not showing off her amazing rabbit skills, she likes to enjoy her favorite snacks, which are mint leaves. Patti tells us Truffles is crazy about them and enjoys them as a special treat every couple weeks.